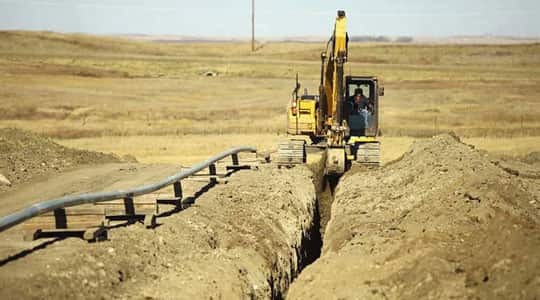 B&G’s Midstream division assists with the maintenance and/or construction of pipeline gathering networks. Gathering networks are the smaller diameter pipes that connect each well-site with larger transmission lines. Gathering networks account for the majority of pipeline infrastructure in North Dakota. Environmental regulations require oil and gas companies to perform routine tests and maintenance on pipelines to ensure that they meet all guidelines and are performing. B&G’s Midstream division schedules and performs these tests and executes any required repairs or replacements.